Bora Bora, located in the Society Islands, is Tahiti’s crown jewel – a true Polynesian island paradise that tourists the world over consider the ultimate tropical vacation destination. Hollywood and film industries from most other parts of the globe have never tired of capturing its spectacular topography. Probably its most definitive landmarks are the twin towers of black rock and an azure lagoon of clearest tropical water. Considering the ideal location and nature of this island getaway, it is not really surprising that water sports like water skiing, parasailing and tackle fishing feature prominently amongst the things to do there. Responding to the potential, many enterprising holiday specialists have provided matchless facilities to enjoy such activities on almost any budget. Bora Bora’s spectacular natural beauty is far from superficial and skin deep. The world beneath its waves makes it the perfect hunting ground for professional and amateur scuba diving enthusiasts. Recreational tourism aside, Bora Bora is also amongst the world’s legendary backdrops for freshly baked romance. Newlyweds who choose the island for their honeymoon will have something to cherish, talk about and reminisce for the rest of their lives. Despite the high influx of tourists every year, Bora Bora has managed to avoid the cluttered, cheap boardwalk culture that one tends to associate with seaside and island resorts closer home. There is nothing trashy about Bora Bora. It is very well connected by sea and air, and reaching there is as thrilling a visual experience as actually holidaying there. Excellent internal transport connectivity ensures that the entire wealth of Bora Bora’s splendour is available for a visitor’s inspection and enjoyment. Unlike many other resort destinations of this kind, Bora Bora is far from cut off from the realities of mainstream life. In other words, it has an excellent infrastructure to support the necessities of modern living – hospitals, banking, foreign exchange etc. – even while it retains all its highly individual and other-worldly charm. The hotels that capitalize on its popularity do so in unique style, avoiding squalor even at the lowest end of the holiday budget scale. Most of them strive to offer the maximum advantage of Bora Bora’s visual delights. A lagoon view from one’s hotel room is something to cherish. 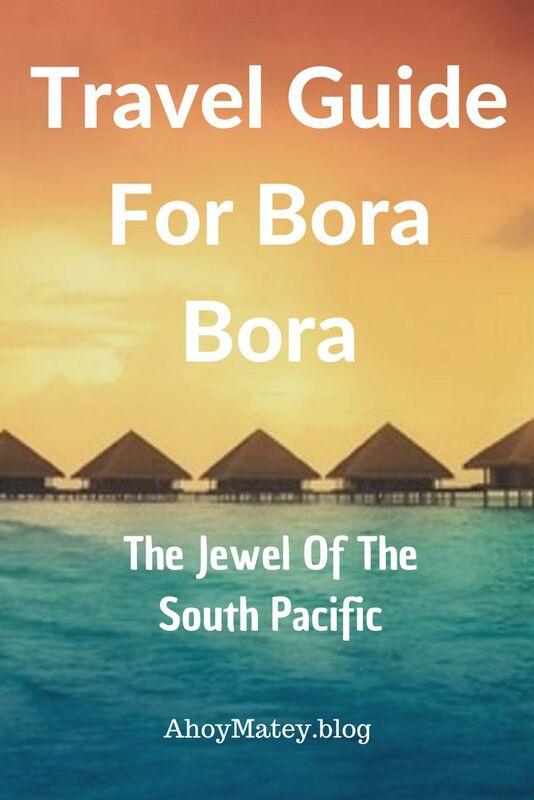 Bora Bora’s hotel industry has responded splendidly to the various tastes of its round-the-year tourist invasion and establishments that offer top-of-the-line facilities and amenities are at your disposal. 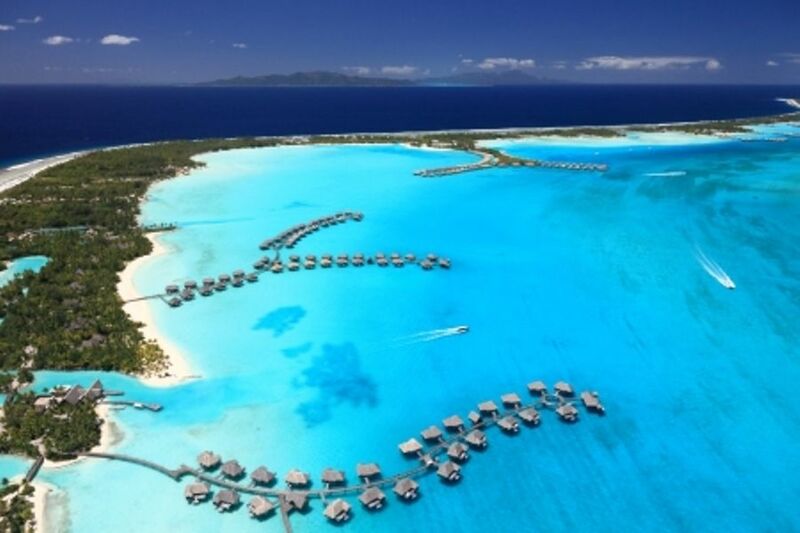 If you’re looking for luxury hotel options, then the Four Seasons Resort Bora Bora or the InterContinental Bora Bora Le Moana Resort are excellent options. A less expensive option (and just as good) is the Sofitel Bora Bora Marara Beach Resort. However, hotels and resorts are not the only accommodation facilities available on this fascinating Polynesian island. One of the most unique ways to experience a vacation in Bora Bora is by staying in a beachside bungalow, like Bora Bora Bungalove, or a lodge, like Oa Oa Lodge, which is bang on the beach. Camping holidays, can work out to be far more cost-effective than hotel stays and even expose you to more to the ethnic island culture than a commercial hotel establishment can. Considering that there is so much to see here that may not be readily accessible by ordinary transport means, many adventurous vacationers choose the camping/trekking options and save themselves a pile of money while still getting full mileage out of their time on the island. One can enjoy a vacation on Bora Bora at almost any budget. Bora Bora’s weather falls in line with the general parameters of all tropical locations – entirely predictable for the most part (except for the infrequent but spectacular cyclones) and with definite seasons. Broadly, it can be classified into the wet (rainy) season or monsoon and the dry season. The monsoons last for five months – between the months of November and April, to be precise –and they generate a considerable amount of rainfall. It is estimated that three-quarters of Polynesia’s yearly rainfall occur within these five months. It can get quite hot and humid on the island in this period – temperatures can go up to 30 degrees and even higher during the period between February and March. Though Bora Bora has its own rustically romantic charm in the monsoon season, a majority of tourists find the torrential rainfall hard to take. The generally pleasant north-northeasterly toerau trade winds blow during the monsoons. In contrast, the dry season, which also lasts for five months (between May and October) is far more amenable to the tourist trade. Humidity is down to a manageable level from the extreme mugginess of the wet season. Usually, temperatures will fluctuate between 24 degrees and 28 degrees and the weather generally remains pleasant. This season also features the southeasterly ‘mara amu’ trade winds, which can reduce daytime temperatures without warning. First-time visitors would probably be best off vacationing during the dry spell, which is considered peak tourist season on Bora Bora. The lacuna between these two main seasons is not considered to be optimum vacation time on the island, but that depends entirely on one’s point of view. For instance, you are likely to get accommodation, island touring, charter fishing and water sports facilities at extremely reasonable rates during this period. Getting to Bora Bora is not a problem. The French Polynesian island is eminently accessible by land and air. If one chooses to fly there, one can choose between a number of international airlines that have regular flights to and from Fa’a’ā International Airport. This is located at Papeete, which is the capital of Tahiti. Alternatively (and if your budget allows it) you can choose to charter a flight or even a helicopter. Many affluent tourists prefer the latter option because of the spectacular panoramic view this affords in transit. Bora Bora can, of course, also be reached by commercial or private sea vessels. Once there, however, sea travel is practically a must – exploring the azure waters in general and the magnificent lagoon, in particular, are inalienable from a Bora Bora vacation. No matter what kind of accommodation or vacation package one chooses, it is important to plan the holiday carefully. There is so much to see and so much to do, and yet relaxation should be the binding element through it all. Much depends on one’s own mental makeup, of course – the hardy explorer would never be satisfied with lounging around in luxuriant lassitude at a fancy resort. By the same coin, a lot of such relaxation would be in order for the stressed-out business executive. A reasonable amount of water sports – tackle fishing, water skiing, scuba diving, an Aquasafari…. Viator has a large list of activities and things to do on your Bora Bora vacation, that we bet are enough to memories that last a lifetime. Bora Bora has been the ultimate honeymoon venue ever since the advent of modern tourism. This has nothing to do with the snob value of having vacationed there – it is just that the island is probably the most romantic spot on the planet. The hearts of newlyweds cannot but respond to the natural splendour of the emerald lagoon, the timeless magnificence of the twin granite pillars and the pristine beaches. And is in the case of most other tropical islands, Bora Bora’s unique climate even seems to work as a natural aphrodisiac. Since it is not crassly commercialized and cluttered with the usual trappings of the tourist trade, Bora Bora is the perfect setting for freshly baked couples to get to know each other better. Nothing intrudes on the privacy that is so much called for during a honeymoon – the Islanders appear to have an instinctive respect for romantic solitude. 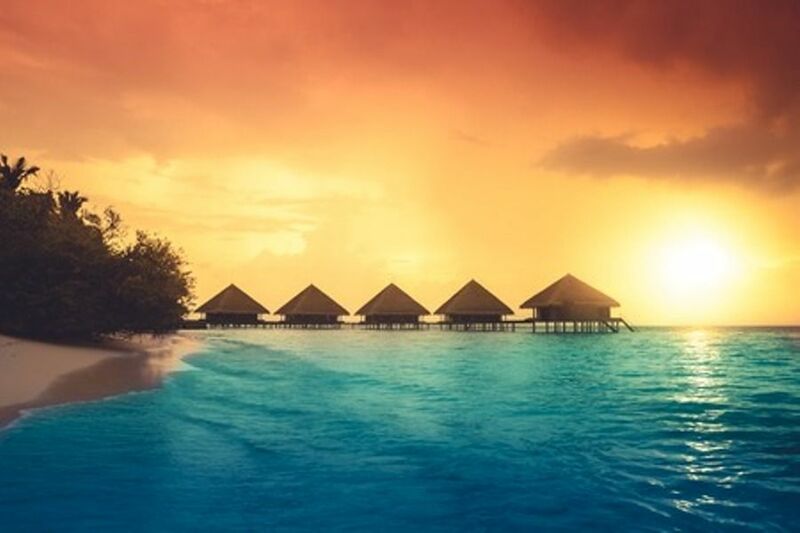 Many married couples consider their honeymoon at Bora Bora – the leisurely walks along the moonlit lagoon, catching the sunrise and sunset on one of the beaches and meals expertly prepared by true masters of the trade tend to have a lingering effect. There is something for every kind of honeymooning couple on Bora Bora. If the leanings are towards an extravagant splurge in bohemian luxury, it’s available at the many elite hotels and resorts that are spread over Bora Bora. The adventurous have no shortage of things to do – despite its natural blessedness, the island is not an isolated phenomenon in the Polynesian chain. There is an enormous amount of tropical terrain to explore together. Many couples go a step further than just honeymooning at Bora Bora – they even get married there. Tying the knot in a legally binding and valid manner is not exactly an easy process, and there are various formalities to follow. It is, however, possible. Or you may wish to have a spectacular mock-up marriage that immediately follows or precedes the legal one elsewhere. The natives have a unique ceremony that would make such an experience quite unforgettable. Life in Bora Bora is essentially beach-centric. That makes perfect sense since it is the beaches that tourists naturally zero in on almost from the moment of arrival at this beautiful tropical island. It is hard to describe the serene splendour of Bora Bora’s beaches in words. Those who have seen them in some of the various Hollywood films that have been filmed over the ages on location there will know that they are literally quite indescribable. Bora Bora is just 18 miles long, and beaches are the defining catchword here. This charming little island is the tourism jewel of the South Pacific and has long since been hailed as the most romantic beach chain that the globe has to offer. The beaches themselves sport none of the boardwalk clutter that one tends to associate with resort islands. The various hotel establishments have cooperated with Tahitian authorities and natives to preserve and maintain the magnificent seclusion and beauty that Bora Bora’s beaches are so famous for. Matira Beach is the crowning jewel in Bora Bora’s crown, and should not be missed. While there, the visitor has various options. One can seriously work on one’s suntan, engage the help of local pearl divers to find one of the black pearls the island is so renowned for, go aquaplaning, scuba diving, water skiing or parasailing, and go on a boat ride to watch the sharks being fed. Watching the sun rise and set on Matira Beach is an experience that will set standards of exhilarating, soul-stirring beauty for the rest of one’s life. Check out this video of this lovely beach. Don’t expect to be able to go to a local disco or nightclub after the colourful display, though. That’s not what Bora Bora’s beach life is all about. Here you will find unspoiled nature, friendly natives and true ethic charm – not a picturesque extension of Big City life. There are, of course, no direct flights to Bora Bora. A full-fledged airport would have detracted from the island’s rustic ethnicity. It does feature a tiny airport at Motu Mute, however. The way to fly to Bora Bora is via Tahiti’s Faa’a International Airport at Papeete and catching a smaller craft from there to Motu Mute. For reference, it takes a normal commercial flight something like seven hours to reach Papeete from Los Angeles. The airlines that have regular flights to Faa’a International Airport include Quantas, Air New Zealand, Air France, Air Tahiti Nui, Hawaiian Airlines, Corsair and Lan Chile. 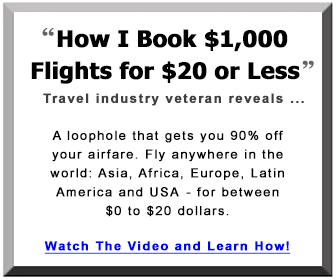 However, the process of flying here can be confusing and complicated. 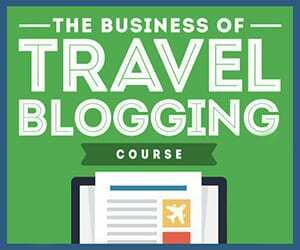 Most tourists prefer to have a professional travel agent make their bookings. Faa’a International Airport is far from a very busy one – many days do not see more than a couple of international flights coming in. International tourists will find most of the basic amenities available – these include currency exchange counter, an internet café, a post office and easy access to a marketplace that offers Tahiti-centric curios. Air Tahiti offers daily charter flights to the island from Papeete, and from Bora Bora to some of the better-known peripheral islands such as Raiatea, Moorea and Huahine. Air Moorea and Air Archipels also offer private charter flights to Bora Bora and the other islands from the main airport. If flying to Bora Bora is a little more involved than it would be with other popular tourist destinations, it is well worth it. All along the way, the passenger is treated to a spectacular display of tropical splendour that cannot be matched by other destinations. You can explore the beauty of Bora Bora’s magnificent waters and surrounding islands on almost any budget. The most popular choice for seeing the legendary lagoon and other points of interest is, of course, the luxury cruise liner, but various private enterprises offer cheaper options. Places covered by cruises from Bora Bora include the Leeward Islands of Huahine, Raiatea and Tahaa, the French Polynesian Marquesas Islands and major and minor lagoons throughout the chain. They cover various time periods and can last from three days to sixteen days. Bora Bora is equipped with an immaculately facilitated boatyard that also makes private sea excursions possible. It is possible to hire native guides for personal cruises, and such an expedition can be exciting and far more fulfilling than a commercially planned one. However, those who indulge themselves in the private charter option to see the islands are usually experienced sea people for whom the process of sailing is as appealing as the sights they will see. Many boat charter companies for such private cruises can be found on Bora Bora’s Vaitape and Uaiatea’s Uturora. 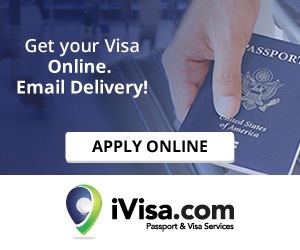 These can be easily contacted by telephone or email, and bookings can be made personally or via travel agents even before arrival at Bora Bora. For those who are interested in such an adventure, detailed marine charts are available. Whatever means one uses to cruise Bora Bora’s breath-taking waters, one is advised to consult appropriate weather reports and updates. These areas are subject to the tropical phenomenon of cyclones, though these are far from frequent and are usually well predicted. It is also necessary to have the right seafaring apparel, since climactic changes are usually abrupt and dramatic on Bora Bora’s waters. We hope you enjoy your vacation in Bora Bora. Manuia, or Cheers as they say in Tahiti. Bora Bora is Tahiti’s crown jewel – a true Polynesian island paradise that tourists the world over consider the ultimate tropical vacation destination.